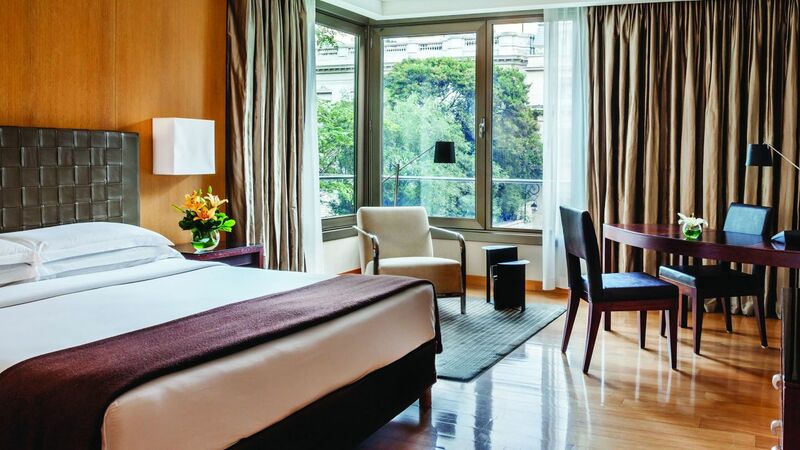 Park Hyatt Buenos Aires sits amid the stunning French heritage area of Recoleta. 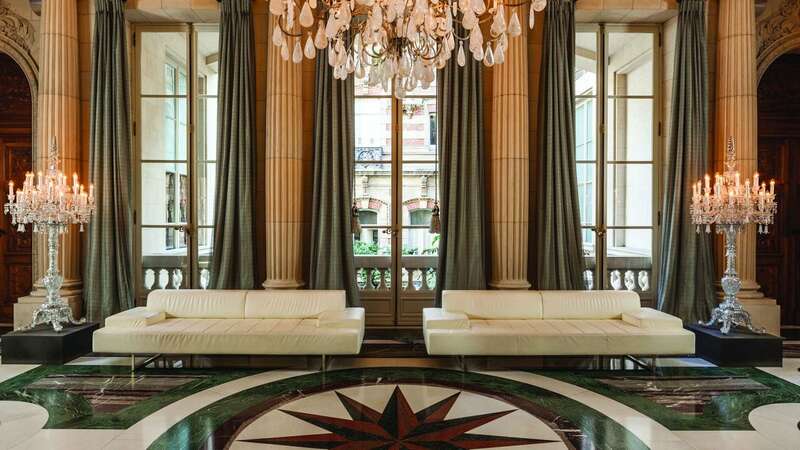 Unveil uncommon experiences within a harmonious architecture combination of the restored Neoclassical Palace and the Posadas contemporary building. 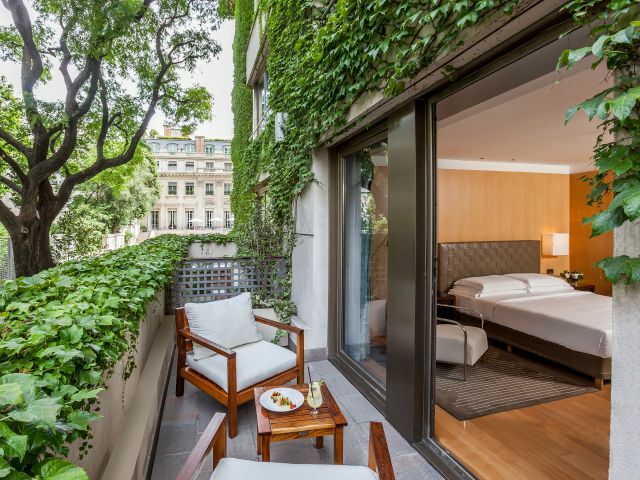 The complex is connected by an eclectic underground art gallery and a secluded garden with breath-taking terraces where one can delight in haute-cuisine. 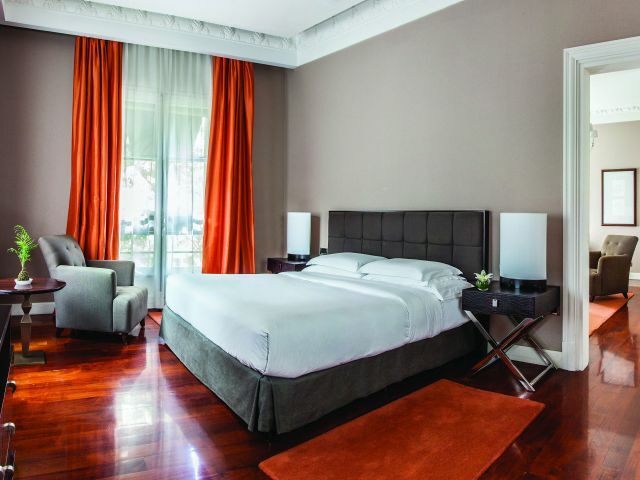 The grandeur of the hotel interiors with lavish décor and the exceptional personal service offer an enriching atmosphere in the heart of Buenos Aires. Savor sophisticated Argentinean cuisine with emphasis on wooden grill cuts of meat from exclusive breeds. The restaurant is ideal to enjoy al-fresco-dining and to learn about the different wines of Argentina and pair them with a selection of local cheeses. 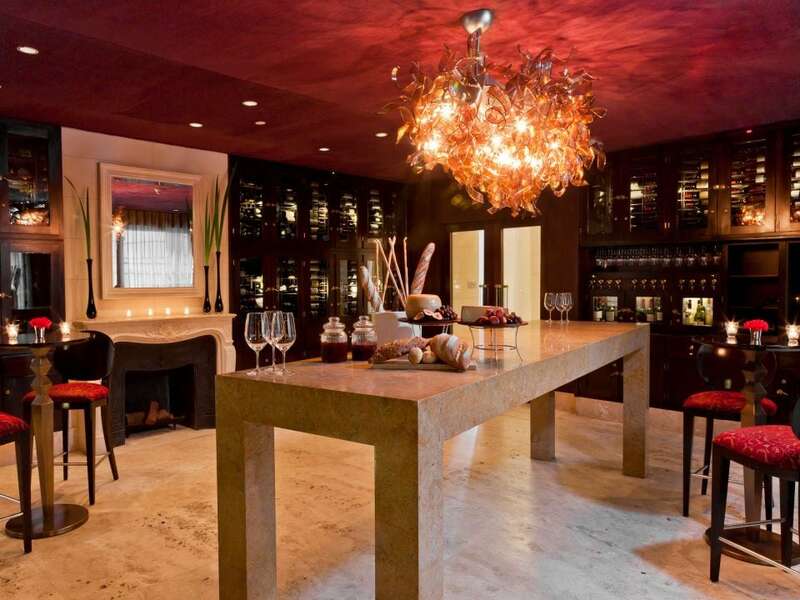 The private winery with more than 500 labels and the cheese cellar are a must see in Buenos Aires. In the indigenous Mapuche language, "ahín" was the welcome ritual ceremony offered to honor a new guest. 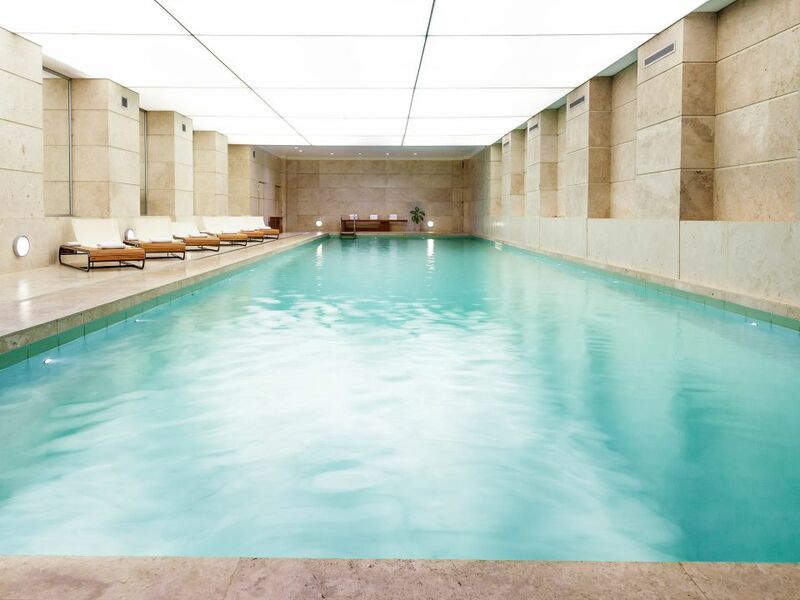 Under this pledge, the spa tunes to the cycles of nature through the light fixture designed under the knowledge of chromotherapy and offers tailored-made treatments and rituals in its unique suites with views to the internal garden, fountains and natural light. 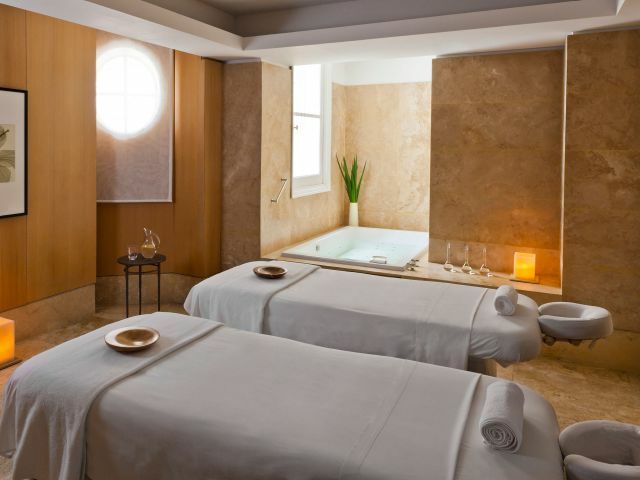 Immerse into unique ambiances blended with the porteño authentic hospitality. 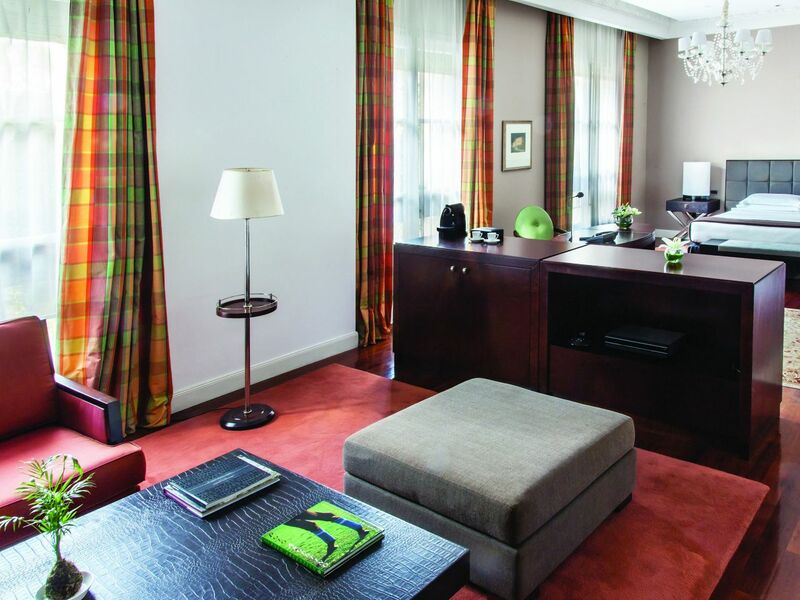 The Palace features 23 beautifully appointed rooms and suites hosted by a passionate butlers team. 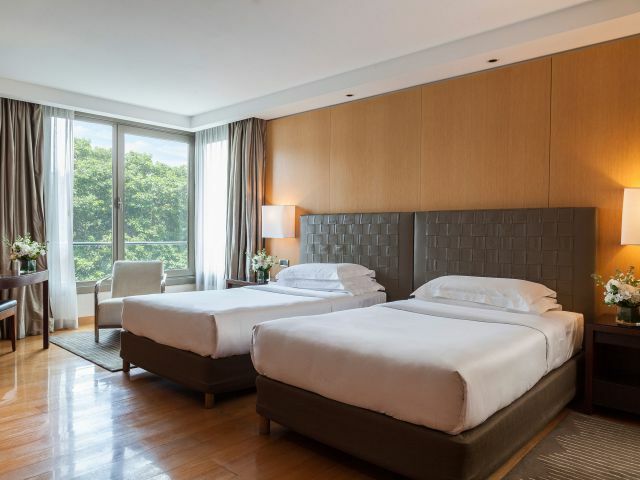 Simultaneously, find a modern yet charming warmth in the 142 rooms and suites of the contemporary Posadas building, in which fine amenities await. Duhau Pâtisserie: Sophisticated homemade pastry shop. Duhau Restaurante & Vinoteca: Discover the traditional Argentinean cuisine with the sophistication that distinguishes Park Hyatt. Gioia Restaurante & Terrazas: an extensive sitting area on its terraces makes Gioia ideal for al fresco dining, with its remarkable views to the gardens and the Palace. With seasonal menu of Modern Mediterranean cuisine, the restaurante serves breakfast, lunch, dinner and the Best Sunday Brunch in town. 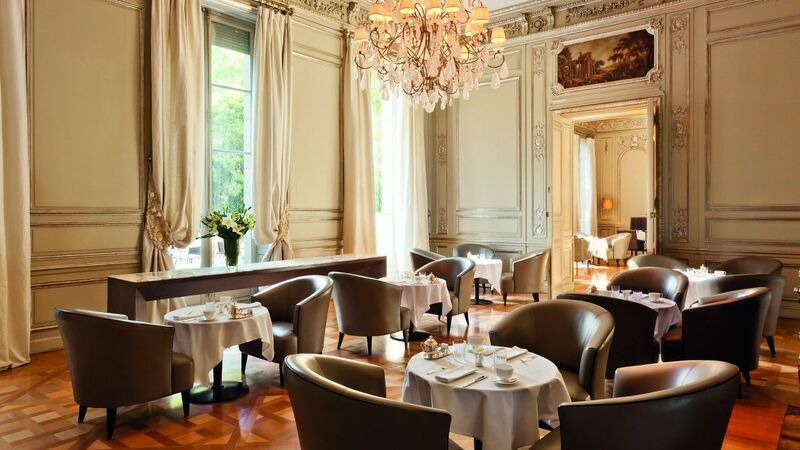 Los Salones de Piano Nobile: Enjoy a candid afternoon at the Palace with a Five O'Clock Tea with delicious Pastry prepared by our Chef Damián Betular. 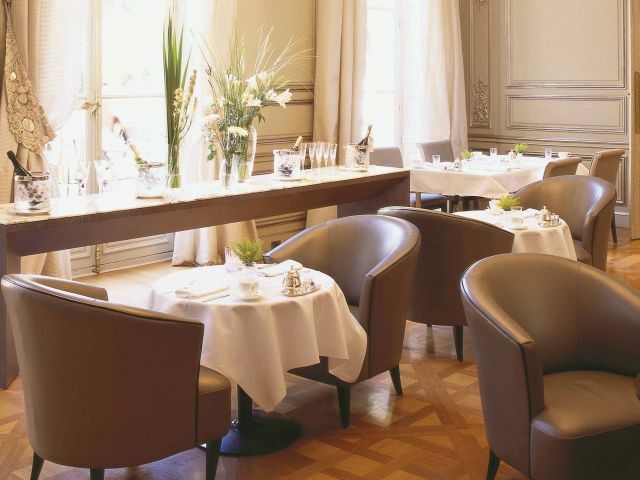 Guests delight themselves in these magnificent salons with breakfast à la carte, small dishes, elegant snacks and international cuisine throughout the day. 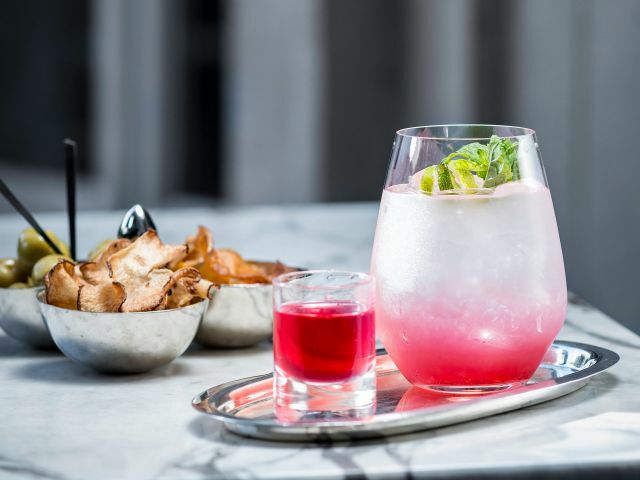 Oak Bar: The Oak Bar unfolds an utter club style experience with its antique Medieval Oak Panels brought from Normandy and its broad menu well thought for a global connoisseur. One can a appreciate an intimate yet vivacious moment whilst enjoying the best mixology, Scotch whiskeys and cognacs. 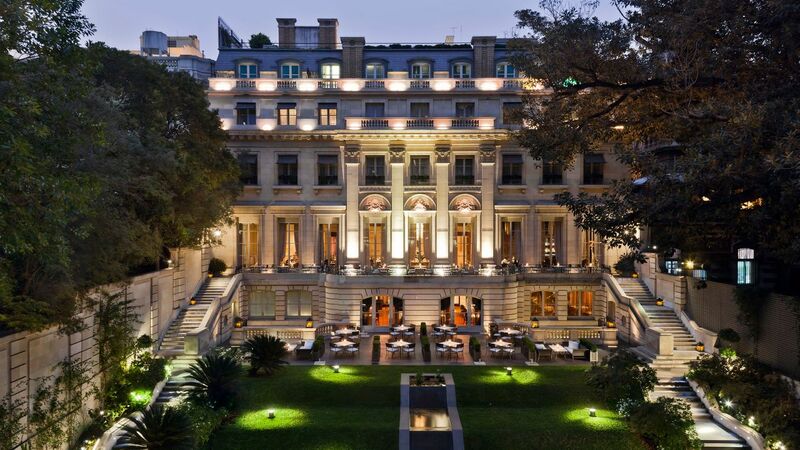 Our coveted lush garden makes Palacio Duhau - Park Hyatt Buenos Aires worth revisiting across the seasons. 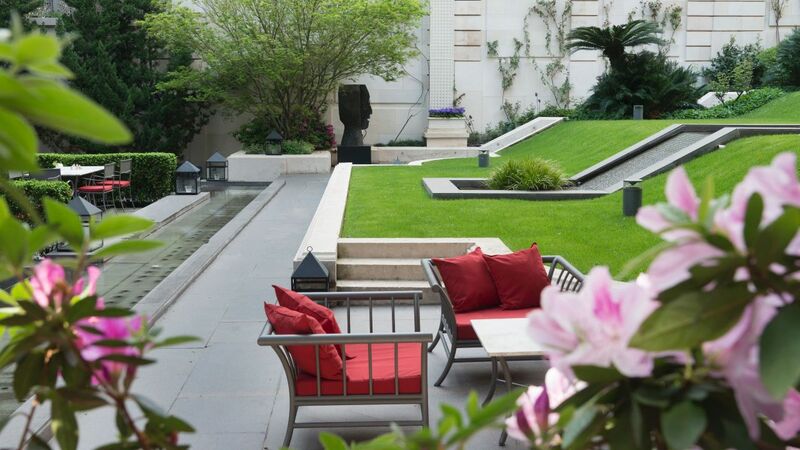 It is designed in terraces with a fountain that goes along with the movement of the terrain and connects the historic Palace with the Posadas contemporary building. Enjoy al fresco dining in our unique park in the heart of Recoleta. Noble ingredients and the fine pastry of Chef Damián Betular delight in Duhau Pâtisserie, the exclusive retail space of Palacio Duhau - Park Hyatt Buenos Aires. Macarons, Belgian chocolates, original tailored cakes and petit gâteaux are some of the creations of the Buenos Aires luxury hotel pastry shop, ideal for gifts and special celebrations. 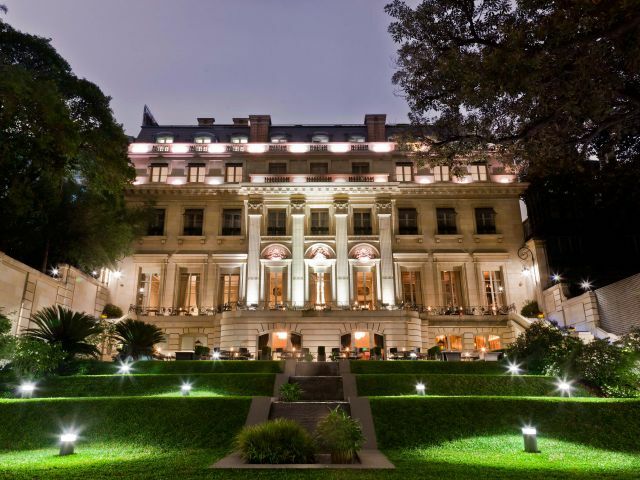 Palacio Duhau - Park Hyatt Buenos Aires is home to an interesting private collection of works of art from local an international artists. 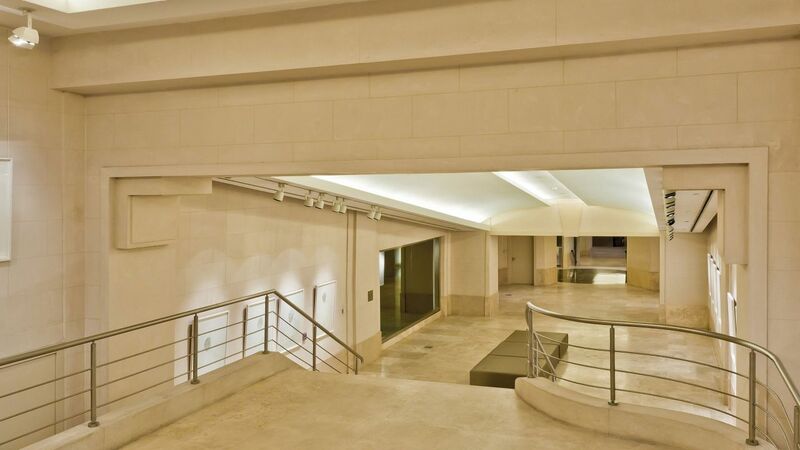 At the same time, the underground path between de Palace and the Posadas building has been adapated to a fine art gallery "Paseo de las Artes Duhau". It is a dynamic cultural space in which contemporary art exhibitions are presented temporarily. La Florería del Duhau: An enchanting flower boutique surprises our guests with delighting colors and fragances, find it nearby Ahín Wellness & Spa. Bespoke Tailor Luigi De Carlo: With 65 years of renown work in Buenos Aires, Luigi De Carlo tailoring offers suits, sports jackets, pants, shoes, belts and dress shirts: each piece is hand-designed and carefully supervised. Art & Design: Discover an Art & Design store, with unique handcrafted pieces of artwork, created by local artisans Marcelo Toledo and Perez Sanz. We are overjoyed to welcome your canine companions during your stay at Park Hyatt Buenos Aires, with its coveted location just steps from Parque Carlos Thays and Plaza Alvear for amusing walks. 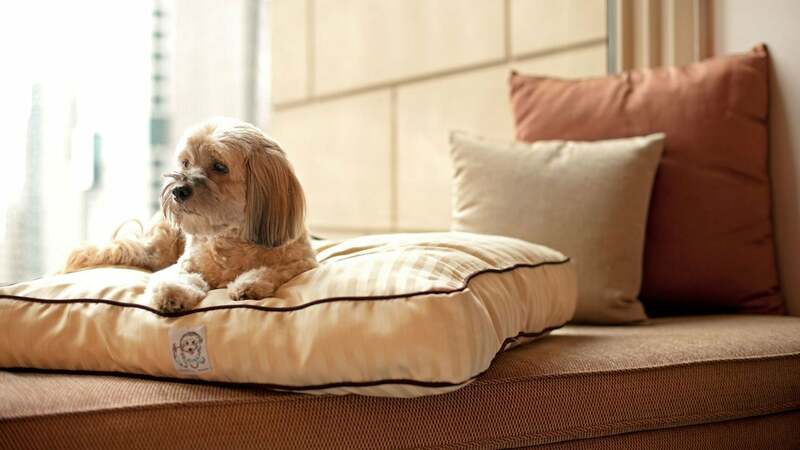 In the room, your pet will enjoy its own pet bed, dog bowl with water, and treats. A pet fee of $100 + taxes per stay is added with a stay of up to six nights, while stays of seven to 30 nights include an additional $200 deep-cleaning fee. 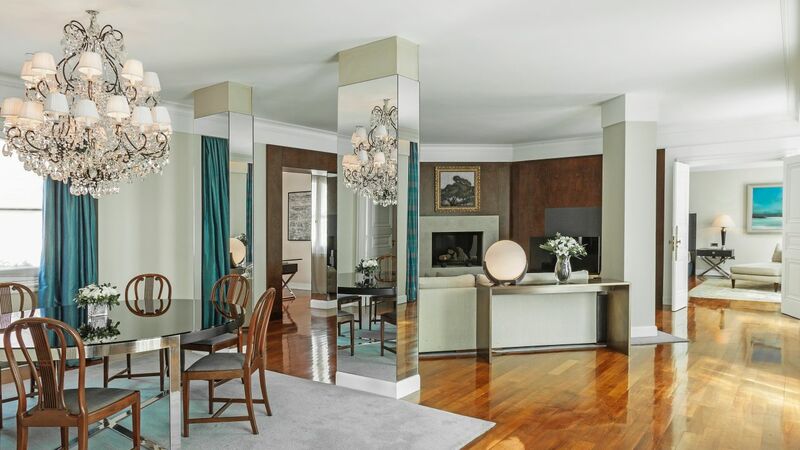 A historic look & feel, large windows and magnificent terraces overlooking the gardens makes Piano Nobile a unique experience in Buenos Aires. 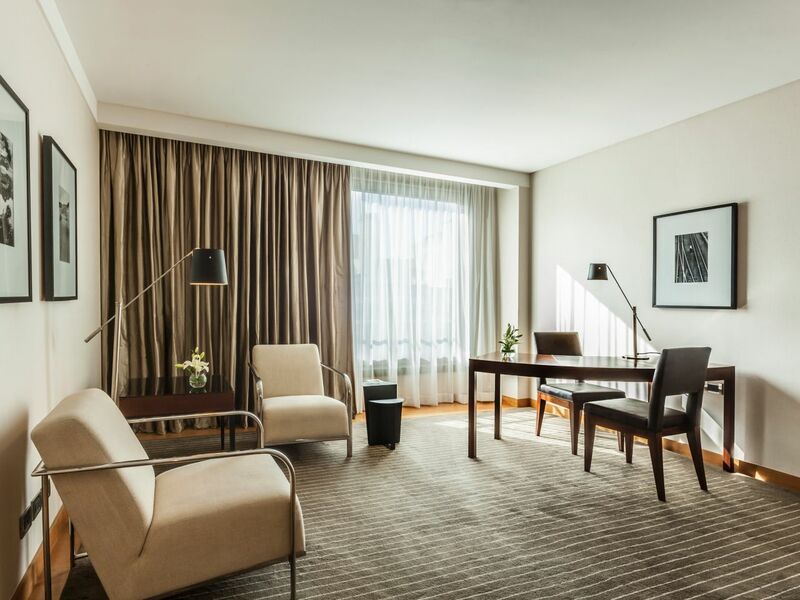 Feel comfortable in this leisurely rooms and find a la carte breakfast, light lunches, delicate snacks and in the afternoon revel in the traditional Five O'Clock Tea.